Member Meeting – Saturday, January 19, 2019, 2:00p.m., Harwich Community Center, 100 Oak Street, Harwich. Award winning artist, Steve Kennedy, will give an oil painting demonstration at the Guild of Harwich Artists January Meeting. Steve has been teaching art for over 25 years, currently teaching at the Creative Art Center in Chatham and in Provincetown. 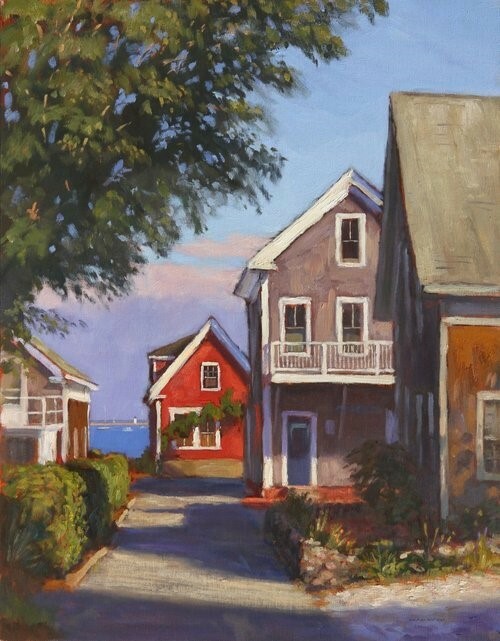 His paintings are exhibited at the Left Bank Gallery in Wellfleet and the Kiley Court Gallery in Provincetown. The meeting and free demonstration are open to the Public. Refreshments will be served.